Update of “LEAGUE TALK”‚ a must-have app for LEAGUE players! 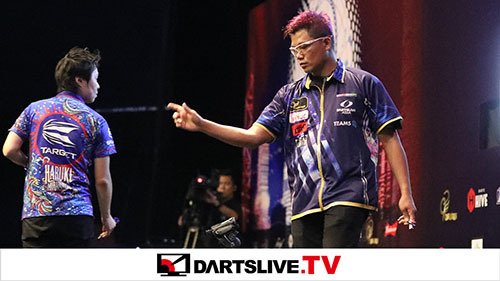 Members of DARTSLIVE OFFICIAL LEAGUE can exchange messages easily using “LEAGUE TALK”. To show you who are participating in the TALK‚ a new feature‚ “member list” is available in Hello ! 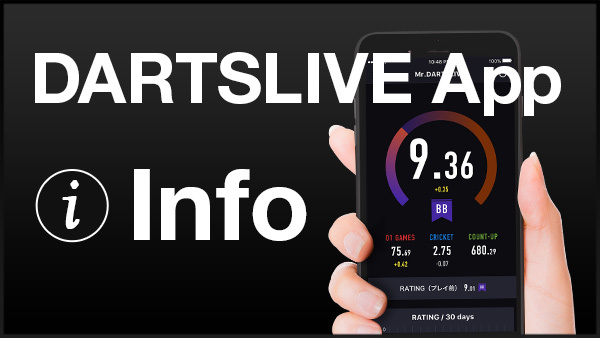 These features will provide LEAGUE information including the results and ranking via “LEAGUE TALK”. 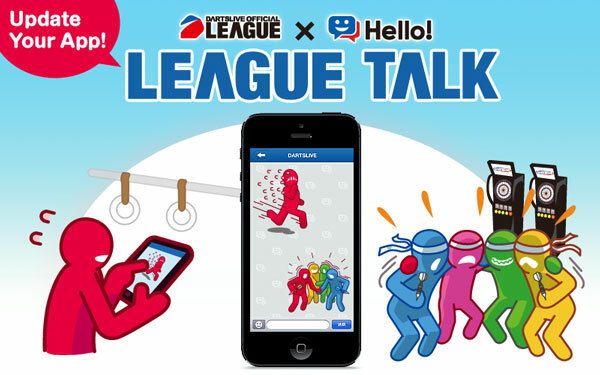 New stickers will be added to “LEAGUE TALK” to better express your feelings! 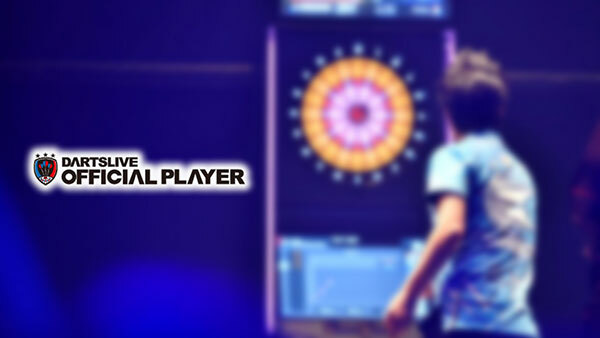 More information about the update will come soon♪ Don’t miss it! What is “LEAGUE TALK” ? 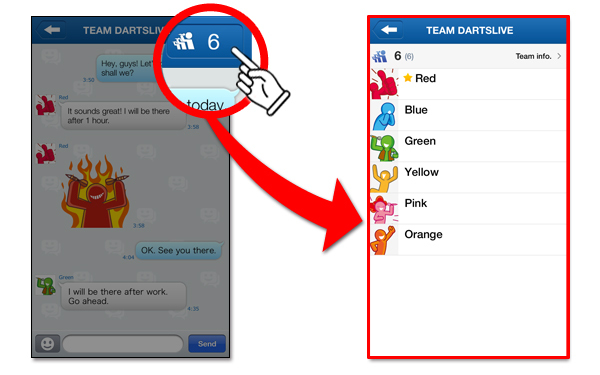 “LEAGUE TALK” is a feature that enables easy message exchanges among team members of DARTSLIVE OFFICIAL LEAGUE via automatic group formation. “LEAGUE TALK” is great for communication among LEAGUE members!